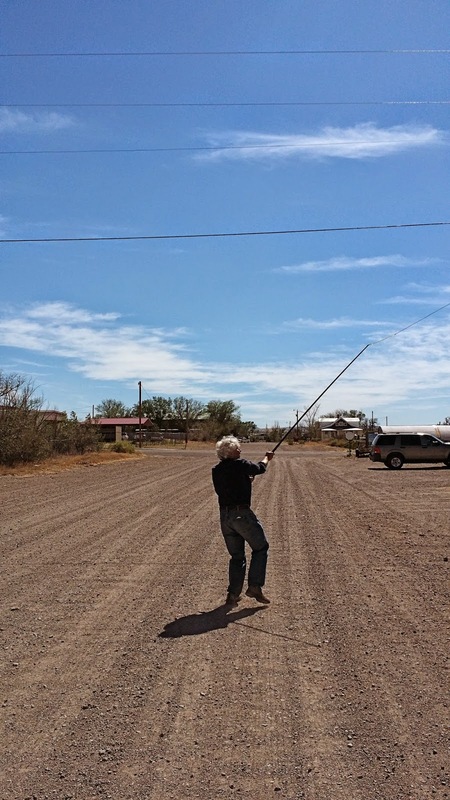 Stephen Bodio's Querencia: What is this man doing? Suggested by Kirk. What am I doing? You have acquired a flying puppy and are playing lure toy with it. Taking a break from Work, retrieving his kite from the power lines. Or perhaps merely attempting to get a jolt? pole luring a gyr hybrid?